Hey!!! Do you love Instant Messaging? We all know that WhatsApp is the best Instant Messaging app. The thoughts are changing with changes in the configuration of your smart phone, moving towards Instant Messaging. The developers do understand this change and the choices in this category are increasing; new Instant Messaging Apps heating the app stores almost every day. Instant Messaging is requirement of some people during work / fun for college going students. Being a part of today’s youth community we love using Instant Messaging Apps for connecting with friends and having fun over the group chat. Understanding the need and changes happening in this category, today Appgyaan is with the five best Instant Messaging app for your smart phones. Probably, the first question that will come to one’s mind after reading the last line – ‘We have WhatsApp, why to download something else’? 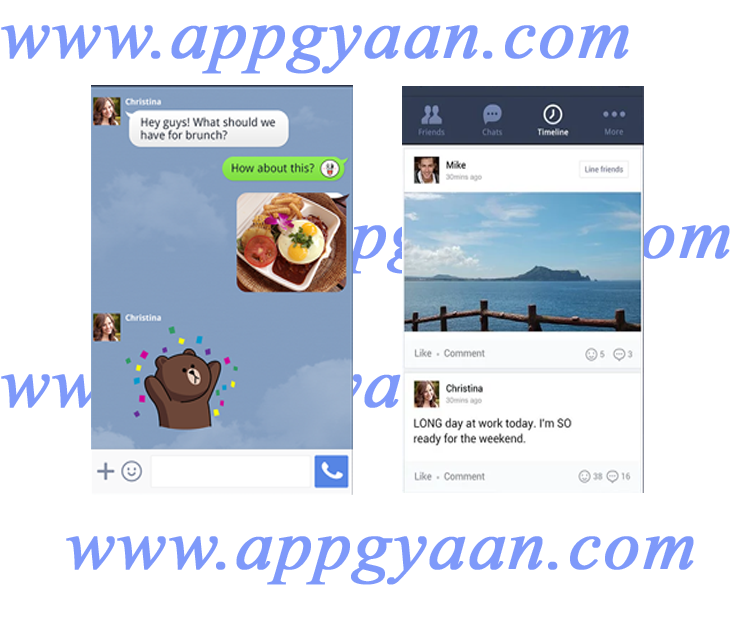 Appgyaan's list will definitely suggest you with alternatives of WhatsApp. But, again why an alternative is required? Correct, But are all the Users we totally updated with WhatsApp or Does WhatsApp give all the required features in its application? Answer is Definitely NO. There are many features which WhatApp still lacks. On this account, today, we are going through to the apps that can replace WhatsApp in your smartphone with some cool and awesome features. ‘Messenger’ is Mr. Zuckerberg’s baby and we all know that he promotes at its top. Recently, Facebook has removed the messaging feature from the regular App of Facebook. The only reason is to promote ‘Messenger’. Appgyaan has recommended ‘Messenger’ on top of the list because it gives you exposer. ‘Messenger’ gives an option to talk to your Facebook friends instantly and contact them even if you don’t have their contact details. ‘Messenger’ is bundled with some cool features like free Voice calling and regular messaging options. With all these features ‘Messenger’ may be a good option for you, moreover it’s free to….J. 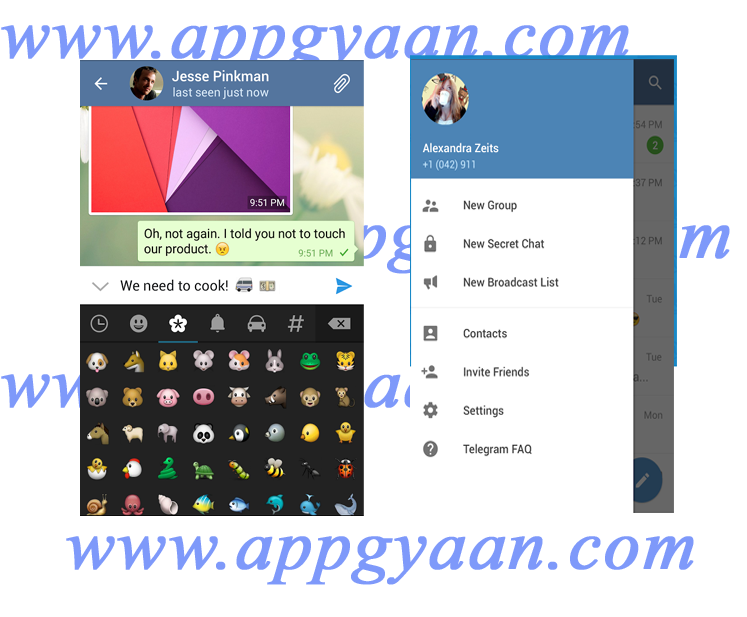 Second in Appgyaan’s list is ‘BBM’, one of the oldest Instant Messaging App. ‘BBM’ is new to android and iOS but with a great background on the blackberry platform, this app is top rated alternative for WhatsApp, but with certain limitations. It is a private messenger i.e., ‘BBM’ is not contact based and it doesn’t allow you to send messages to anyone whom you like or to one who is unknown or has not shared his/her contact details with you. Privacy is an important aspect of ‘BBM’. 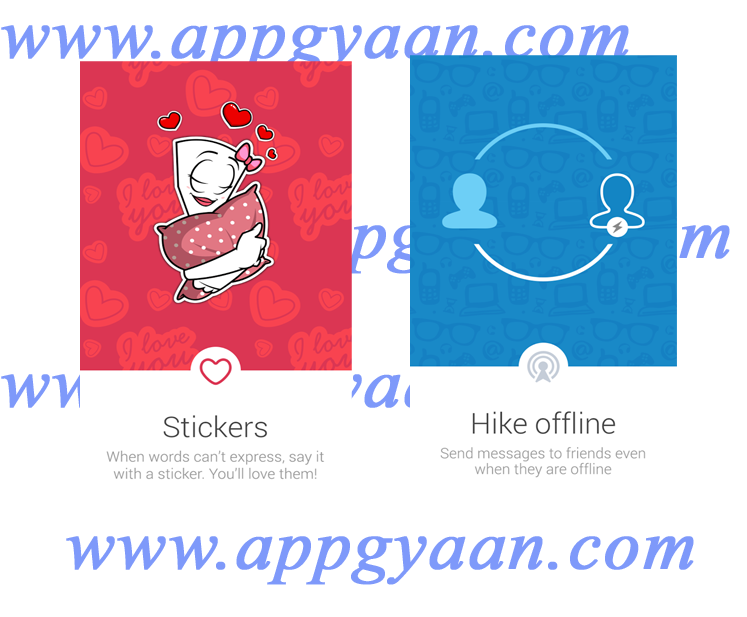 ‘Hike’ is the next Instant Messaging App for the youths who love to express their feelings with stickers. Stickers are the prime pro of this app. Other than the standard bundled features, ‘Hike’ comes with an offline feature which helps you to send messages without an internet connection. Other than that the aforesaid two features, one can even send files to his/her friends with/without Chat themes (which one can modify according the chat topic). ‘Hike’ is the free service which can be again be a good alternative of WhatsApp in your smart phone. The biggest feature of next recommendation in Appgyaan’s list is its availability on the entire platform, may it be computer or mobile, it’s safe to use and secure as it is heavily encrypted and can self-destruct. The cloud based service is the best service which gives you fallibility. ‘Telegram’ got popular and known to crowd when WhatsApp was out of service for 4 hours. During these four hours, nearly 5 million people signed to telegram which made it a famous Instant Messaging app in the world. With some cool features and security, ‘Telegram’ is a good alternative for WhatsApp. ‘Line’ with all the awesome features of Instant Messaging give you an option of free voice and video calls. 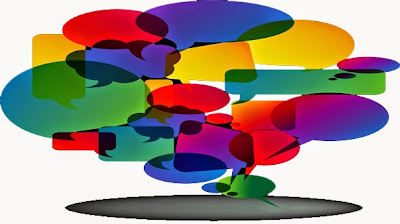 Simple and easy looking stickers make it easy to express your feeling in the chat and help you in spicing up the conversations. Other than chatting, ‘LINE’ helps you to get the better deals and coupons from the local stores and brands. Some of the cool features which we were fond of in ‘LINE’ are Snap Movie and TimeLine which is the standalone feature for this app. Hope you have gone through 'Five Best Instant Messaging Apps erstwhile WhatsApp' and liked alternatives for WhatsApp. 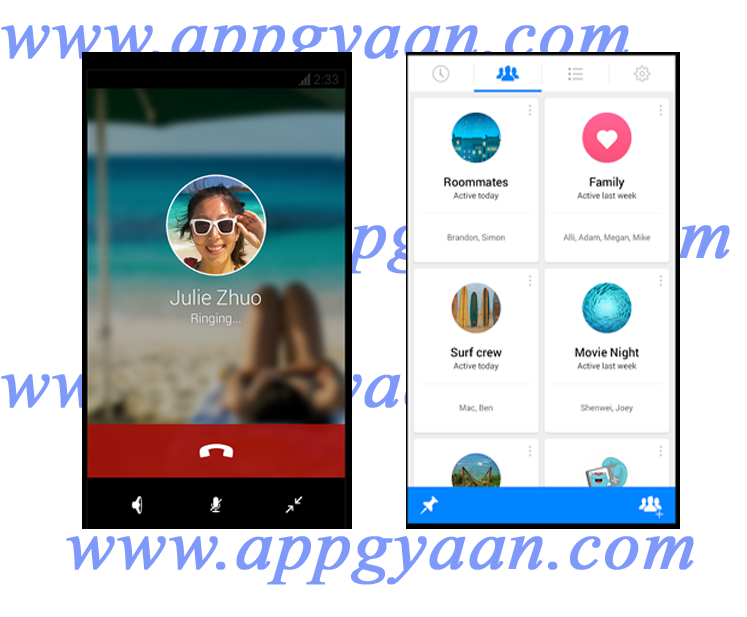 We expect that this article will help you in taking decision over other Instant Messaging Apps in Google PlayStore. Do share your comments, feedback and subscribe to our newsletters so that you receive the updates directly into your mail box.